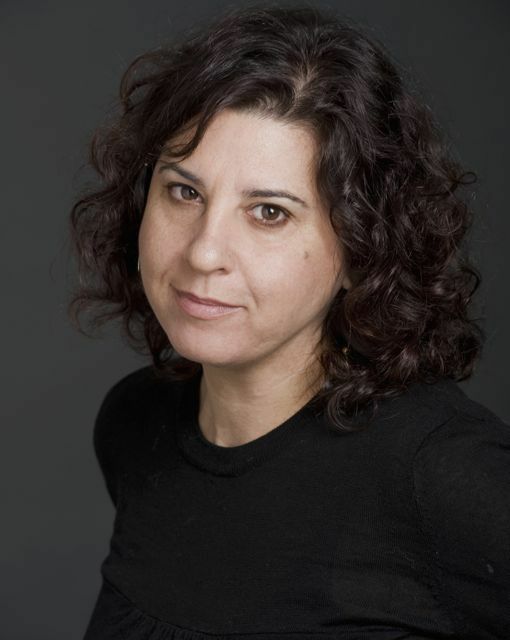 Melina Marchetta is one of my absolute favorite authors. 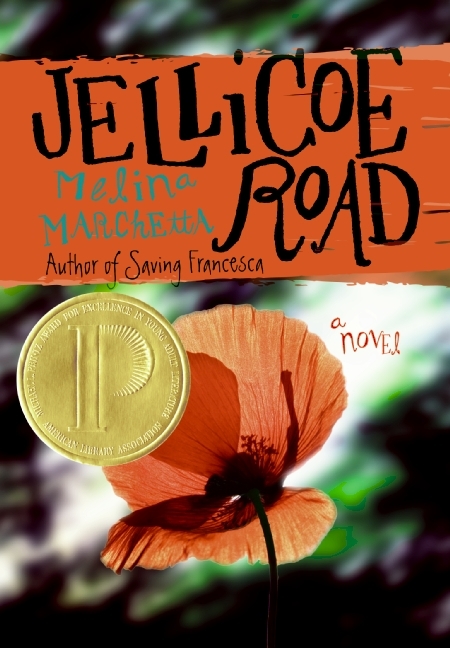 I fell in love with Jellicoe Road back in 2010 and it convinced me to read more contemporary novels. Before that, I mostly read and enjoyed fantasy books. 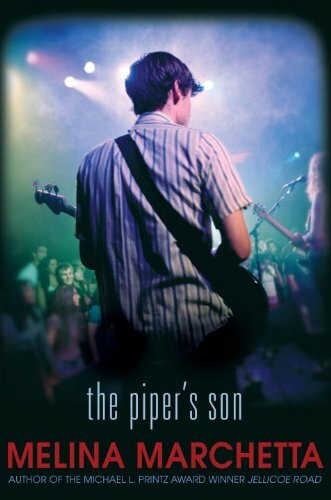 It’s not surprising that The Piper’s Son was included in my best of 2011 list. I love how Melina writes books that can make you feel so much for the characters that you want to go inside the novels to spend time with them. 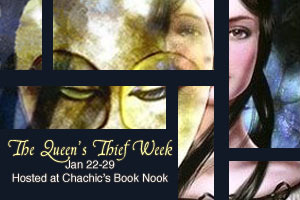 I saw her mention in an interview that she’s a fan of the Queen’s Thief series so I thought I’d ask her to do a guest post. I just about FAINTED when she said YES. She’s currently traveling for research for the next installment in her fantasy trilogy (first two books are Finnikin of the Rock and Froi of the Exiles) so thank you, Melina, for squeezing in a guest post. For me, good characterization begins and ends with Eugenides. As a protagonist he’s taught me a lot. That heroes don’t have to be brave and fearless all the time. That love stories aren’t just between two people who have total trust in each other. That not all fantasy heroes have to spend the whole story in physical battle. Of course, this gives the reader more time to enjoy his verbal sparring with every single person he encounters. He’s one of the smartest fantasy heroes I’ve come across. I love that Eugenides is a bit of a winger at times and more than anything, I love his relationships, whether with his Queen, his cousin, his father, his enemies, his mentors, his guards. I love that what is kept off the page speaks louder than words. I love that I can read The King of Attolia for the fifth time and find something I’ve never seen before. It’s my comfort read. Thanks again, Melina! Gen is one of my favorite characters in the series (surprise, surprise) and I have to agree with the reasons that Melina enumerated. Can you give other reasons why Gen is amazing? Who are some of your favorite characters in the series and what makes them stand out for you? “I love his relationships…”=> Yes! I completely agree, with that, and everything else she said. I’m glad she had time to take part in Queen’s Thief week. I know, I love Gen’s relationships too. All that witty dialogue makes for good reading. Yes, yes, and yes. And yes. I second what Holly said. It’s nice to see one of my favorite authors loving another one of my favorite authors as much as I do. I LOVE it when one favorite author is a fan of another favorite author’s work. Which is why it made me so happy when Melina Marchetta agreed to do this post. 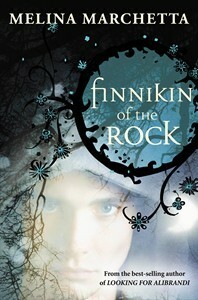 Melina, I adored Finnikin of the Rock and can’t wait for Froi. As far as the characters–Gen really is different from other fantasy “heroes.” He’s just so darned flawed! Most all of the characters are so wonderfully three-dimensional and seem very much like real people. The exception might be the Medes, but I really feel like we just haven’t gotten to know them well enough yet. And don’t even get me started on dear Sophos. I love his narrative every bit as much as Gen’s. Checkers, you’ve read Finnikin! I knew MWT fans would also love Melina Marchetta’s books. I wonder if you’ve read her contemporary novels? Yep, we all love Gen because he’s brilliant but he also has his flaws. Throughout the course of the series, we’ve seen him terrified, angry, moody, devastated and so on. It makes him much more realistic as a character. And I agree, most of the other characters in the series are three-dimensional too. I haven’t read the realistic books yet–the are definitely on my TBR list. Lizzy, Gen is pretty unpredictable, isn’t he? Another reason to love him! ♥ We really have no idea what he’ll do next or how he’ll react to a certain situation. Oh, wow. Thank you, Melina. I’ve loved your books. I read Jellicoe Road and Finnikin, last year, and just finished Saving Francesca and Looking for Alibrandi, in e-book form, checked out of the Cleveland Heights Public Library from here in Norway, and I am sniffling sadly because The Piper’s Son is evaporating on its way back to the library un-read because of a technical glitch. Setting aside all the other wonderful things in your writing, thank you for your close examination of Francesca– who is not your typical protagonist–neither the Queen Bee, nor the Loner. I loved her slow growing realizations about herself, her family, her friends. It was a great book. ALL HAIL MEGAN WHALEN TURNER! MWT and MM, I wonder if you’re aware that you both blurbed The Returning (Bloodflower in Australia) by Christine Hinwood? I bought a copy because of that but I haven’t gotten around to reading it yet. It also recently received a Printz honor. It is indeed me, if that makes sense. At least, ~mwt stands for Megan Whalen Turner. I told Chachic I’d come visit her blog for this week, but I wasn’t anticipating how much you all would make me blush. I was in Rome over the Christmas Holiday and it was beautiful. I hope the sun is shining on you. If you need a hot tip on how to get to the Appian Way by bus, I could give that to you. We did see a few sites while we were there, but spent an inordinate amount of time hunting down all the food we can’t get here in Norway, so our other tips for visiting Rome . . . are a little odd. Thank you for visiting my blog! 🙂 I think it’s a good sign that all these posts are making you blush. Sigh, Rome sounds like a lovely place. I’ve always wanted to go to Europe but I have no idea when that will happen. I wonder what food items are not available in Norway? Mutual author fan squee ^^ – Lovely! “Mutual author fan squee” -> You summed it up quite nicely, Estara! My favorite thing about Gen-he’s a whiner. That doesn’t mean he’s not also totally awesome, but it helps me relate to him. ‘A bit of a winger’ HA! Yes, Gen does tend to fly by the seat of his pants does he not. Fabulous guest post! Hah, he reminds me more and more of Grouchy Smurf and I love him for it! Such an amazing week, Chachic. I keep saying that, but you put us all to shame. Also, this guest post and the comments that follow are so exciting that I’m left speechless, which doesn’t happen often, I can assure you. Aww Maja, such a nice thing to say! *blushes* I’ve noticed that I tend to get enthusiastic about the things that I love and this blog event is further proof of that. I hope you’re still enjoying The Queen of Attolia? I really wish I can buy one of her books…I don’t really want to tell my mom that I want her to buy one of her books in the internet for me. I don’t really know why, but somehow I don’t see myself doing it. Hi Anna Marie R, are you based in the Philippines? Because if you are, Melina Marchetta’s novels are all available in Fully Booked so no need for your mom to order it online for you. Jellicoe Road is even available in both National Bookstore and Powerbooks. Don’t you love all of these guest posts? 🙂 There’s two for each day except Wednesday because that’s MWT day. I’m a HUGE fan of the mutual author love too. Makes it a lot easier for me to pimp out the books to fans of both authors. Chachic, I told Christine Hinwood’s Australian editor months ago that I thought Bloodflower (The Returning) was going to be a dark horse when it came to the Printz, so it was great to see it on the list. I hope this means it will get the audience it deserves. And Megan, I tackled the Appian Way last Sunday with Kristin Cashore. We were two of the most clueless women in Italy that day so we would have appreciated your help. Our bus driver promised to tell us when to get off the bus and he forgot to, so we ended up a mile down the road in a very Quo Vadis state of mind and came across a restaurant int the middle of nowhere and sat down to eat. And then we found the catacombs. After being in a state of falling in love with Rome for years and years, I finally succumbed this time. The Returning has now been bumped up the TBR pile! Highly recommended by both MM and MWT, looks like I’m in for a treat. AHHHH KRISTIN CASHORE! More love for another favorite author. Melina Marchetta and Kristin Cashore together in person. Sigh, so much awesomeness in Italy. I hope there will be a blog post for fans to squee about later on? Would love to see pictures of the Appian Way and maybe the catacombs, even if they seem a bit creepy. I think this post and the comments are giving me a fangirl attack. My two favourite authors are fans of each other’s books… Life is wonderful. Right now I’m reading A Conspiracy of Kings at the same time I’m studying Ancient Greek History for uni. 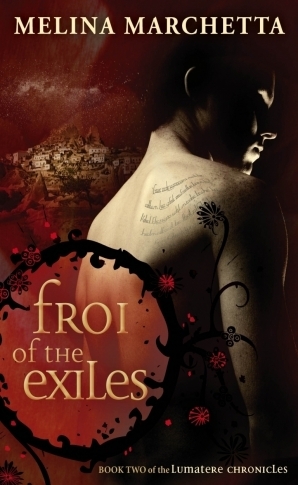 I can’t also wait for March to come so I can finally (finally) read Froi of the Exiles. Ancient Greek History sounds like an interesting subject. We don’t have fascinating majors like that over here in the Philippines. I believe we have history, but I have no idea if there’s anything specific to Greece. Maybe if there was, I would have been tempted to take it up.